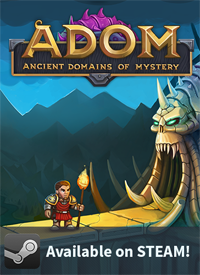 After ADOM 2.3.0 and ADOM 2.3.1 we are happy to announce ADOM 2.3.2 for our prerelease testers. Again we have lots of bug fixes but as I am a bit late in doing the official announcement (being on vacation - in theory) we sadly also already have our first bug report :-( Luckily it's not tremendously important in so far as most players never will even get close to that situation in the game - but it is very annoying as it again affects one of the cool new quests. 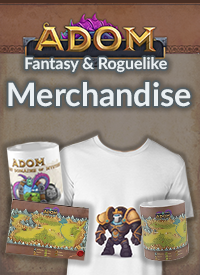 So there probably soon will be yet another release in the very near future. The changelog is getting shorter but still somewhat impressive. Enjoy the game for now and also give us some feedback on the revised point-based character generation, pick/drop, etc. P.S. 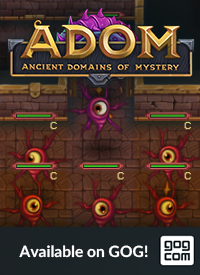 : Our focus (besides maybe another small bug fix release on the sideline now is a graphical release - we are getting closer).